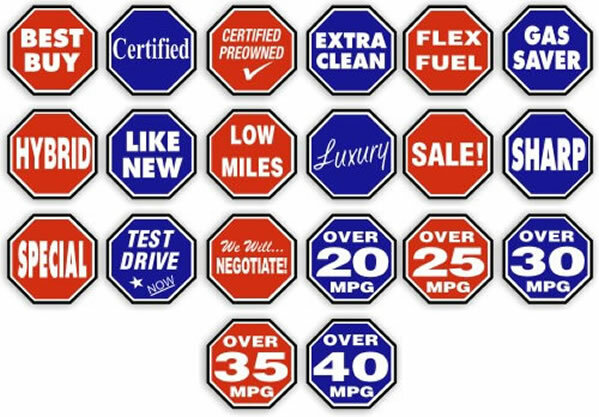 Item Size: 23" x 23"
Try something new and unique which is sure to draw attention to your dealership's sales lot. 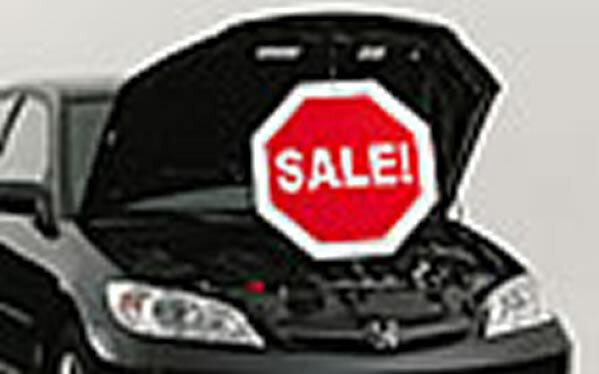 This cleverly designed auto dealer promotional signs are called Under The Hood Spinners. Designed to fit under the hood, each double sided sign uses bungee straps (Included) on the top & bottom. The straps enabling the sign to SPIN ... twisting and twirling with the wind! They are weather resistant and made of 4 mm coroplast. One great feature of these Under The Hood Spinners is that they're convenient and economical. They can be easily moved from car to car (or truck to truck) as well as re-used over and over again.